A grieving account of the life of Anatole Broyard, the long-time New York Times literary critic. “I’m still very much with Anatole,” says the author, his widow. “He is simply not here, and I am alone.” The adjective “simply,” however, belies the profound bruise that his death delivered to her. Broyard asks herself where she can go to engage in restoration. She finds herself scattered, anxious, and overwhelmed, feeling no confidence in her ability to remove the sorrow of this death, not to mention those of her brother and close friend, which followed soon after. How will Broyard escape her brooding sadness, end the clammy feeling of wanting to crawl into the bones of her husband, or make the void tangible? In fact, there’s nowhere to turn, at least nowhere right now. The shadows and darkness are cumulative and dragging. Broyard can be morbid, filling her memoir with sorrow-driven words, yet, like a dancer, she can also find a step, an expressive movement, in her case the act of writing. She skips no details in the story of this dreadful time, just as her husband would have wanted. His well-known love of accuracy, precision, and precisely chosen words gives her a compass point, enabling her to make herself available to the hair-ripping anguish that makes her feel that she must be owed something for going through such pain. But why? And who is going to pay the bill? No one but herself, screaming in a quiet emptiness, grateful for family and friends, and finding solace in the privacy of writing. Difficult, yes, but also not wholly unlike life with her husband. 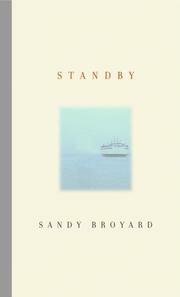 Broyard’s immersion and endurance are striking, and she weathers like a shingle. The pain gnaws, and writing that’s about death can’t escape the smell of mortality, but Broyard’s refusal to concede is also profoundly humane.